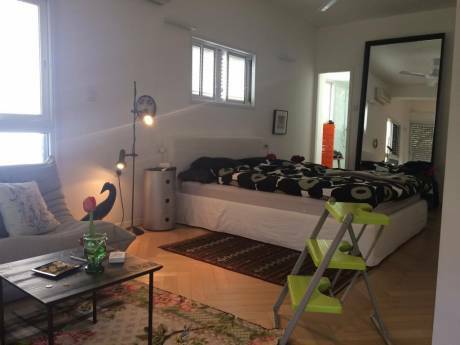 We offer a bright, very special apartment,in the desirable part of Tel Aviv. especially bright during the day, breezes from the sea in the evening, surrounded by parks, and open green views,close to an excellent shopping center, country clubs and cafes. (also Next to a large supermarket and Pharma). Our apartment is large,very pleasant and well equipped. We have a high speed internet connection, cable TV,2 flat screens' etc. 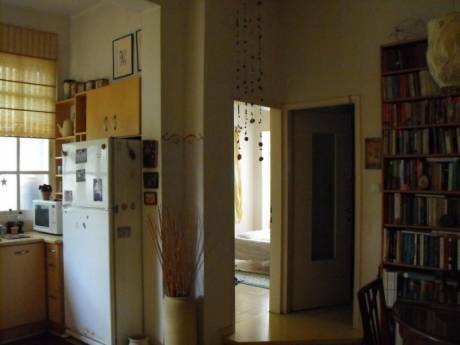 five rooms, three bedrooms with wooden floor,a very large living room ,a comfortable dining area and a study room. The apartment has two bathrooms (one in the master bedroom) and three Restrooms. We are Sarit and Nir, a married couple in their late forties. We are both professionals (I am a lawyer specializing in family law, and Nir is a high-tech manager). We have two teenagers: Our daughter is 15 years old and our son is 12 years old. We are neat and tidy and of course we'll behave towards your house as if it was our house. 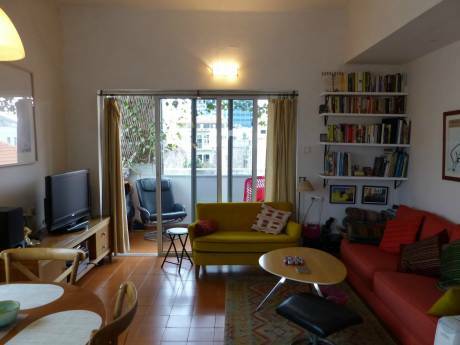 The apartment is located in an excellent part of Tel Aviv, very close to every thing, yet quite and green- within a walking distance of the most beautiful beaches of Tel aviv. Our wonderful neighborhood is full of green parks, playgrounds, and biking trails. It IS well known that our city of Tel Aviv has every thing a big and cheerful metropolitan can offer and more. Our neighborhood is located within a short time of walking or cycling to the beautiful promenade where you can reach Tel Aviv port or even to the charming Old Jaffa and markets.